The profound changes that took place between 800 and 1100 in the transition from Carolingian to post-Carolingian Europe have long been the subject of vigorous historical controversy. 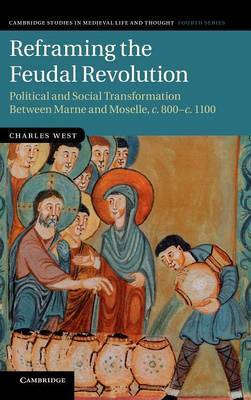 Looking beyond the notion of a 'Feudal Revolution', this book reveals that a radical shift in the patterns of social organisation did occur in this period, but as a continuation of processes unleashed by Carolingian reform, rather than Carolingian political failure. Focusing on the Frankish lands between the rivers Marne and Moselle, Charles West explores the full range of available evidence, including letters, chronicles, estate documents, archaeological excavations and liturgical treatises, to track documentary and social change. He shows how Carolingian reforms worked to formalise interaction across the entire social spectrum, and that the new political and social formations apparent from the later eleventh century should be seen as long-term consequence of this process.